Hey … all you struggling entrepreneurs, inventors and developers out there! 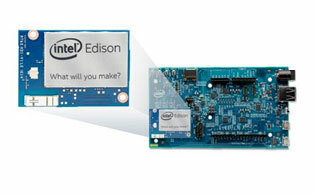 Intel has a new developer compute module, named the “Intel® Edison”, to help you create products for the Internet of Things (“IOT”), cheaply and efficiently. 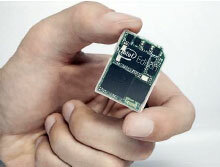 This module contains a processor, memory, storage, WiFi and bluetooth communications in a tiny package. Integrating all of these elements together is what inventor-developers of all ages and maturity find very useful? The new Intel® Edison can shorten the new product development cycle by 6 – 9 months; and save a bundle of development expense. The Intel® Edison is named in honor of the world’s greatest inventor Thomas Edison; a man who for decades revolutionized our world through continuous experimentation and rapid prototyping by finding out quickly what the market was interested in and at what price. 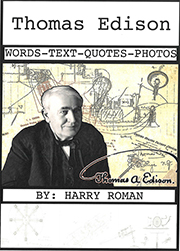 Edison pioneered the invention factory concept, managing 30-40 new product development teams at a time. 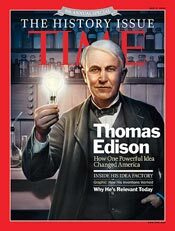 Edison did not just invent things, he created whole new industries. The module was designed to help small companies and developer teams accomplish the same goals as Edison. Intel’s goal was to make it super easy for these entrepreneurs / developers to try out their ideas. Some of their products may fuel the next industrial revolution. Today, there are a little over 14 billion connected devices. Many serve a broad market such as smartphones, computers and servers. They are created by big companies with large development budgets. In the future, the connected devices ( 50 billion-Est.) will become more personalized (infant onesies, animal trackers and robots- see photo below). This is where the Intel® Edison will shine, in the hands of nimble, entrepreneurial, inventive companies and individual developers. There is a recent example of a 12 year old who was frustrated because a braille copier for the blind cost $2,000. Using the Intel® Edison module, he reduced the number of parts and the price to $200. 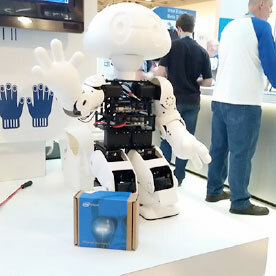 Intel is now funding the commercialization of his product. USAToday carried a detailed story on this project. Edison would be proud to have his name on these new modules and in the hands of those who live by the Edison inventive spirit. Are you ready to break some paradigms! What will you make? 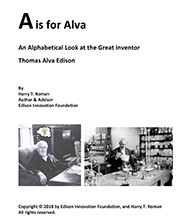 This entry was posted in Inventions Edison Would Love on February 10, 2015 by Edison Innovation Foundation. Heya my business is for your major time frame listed here. I discovered that aboard and that i to find This process handy & that solved the problem out and about considerably Online Roulette, Online Roulette Casino,. I’m hoping to provide a little something rear plus help other folks such as you aided myself. I truly do go along with all of the ideas you’ve got offered to your post.. wave infotech They are genuinely genuine and will surely operate. However, the actual content are way too fast for newbies. Could you be sure to lengthen these folks somewhat by the next occasion? Thanks for the actual write-up. This should have been introduced back in my Uni days when I was using lots of HC11 or Basic Stamp for my projects back then! 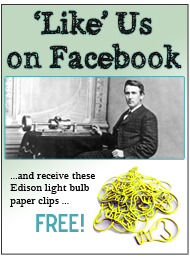 Edison sounds like a nice name for this product! Hope I got a chance to try it out one day. IoT will definitely be a big thing in next 5 years!